Phyllis Porter of Rainier Valley Greenways, Seattle Neighborhood Greenways Executive Director Cathy Tuttle and Seattle City Councilor Sally Bagshaw on a visit to Portland Sunday. Over beers at the Hopworks Bike Bar happy hour Saturday, Seattle City Councilor Sally Bagshaw didn’t bother dithering over whether Portland’s Sunday Parkways street festivals are an idea worth spending city money on. “We are determined to,” she said, waving dismissively at the question. Bagshaw, who oversees Seattle’s parks department, spent last weekend in Portland as part of a 19-person delegation led by a three-year-old advocacy group whose success remaking Seattle transportation could be a model for bike advocates across the country. Since its founding in 2011, Seattle Neighborhood Greenways has almost singlehandedly convinced the city to install 35 miles of bike routes modeled on Portland’s internationally famous 60-mile network of low-stress side streets. Now, by leading a weekend trip to Portland, the organization is paving the way for another import: a series of one-day summer open-streets festivals. But for Bagshaw, along with Seattle DOT’s Kristen Simpson, interim SDOT Deputy Director Barbara Gray and Seattle Parks recreation director Kelly Guy, joining the SNG study tour to Portland was an opportunity to learn more about one of the key ways Portland communicates the benefits of its infrastructure to its residents. 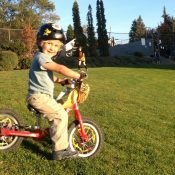 “I just think what you guys have got with Sunday Parkways are the coolest thing ever,” Bagshaw said. 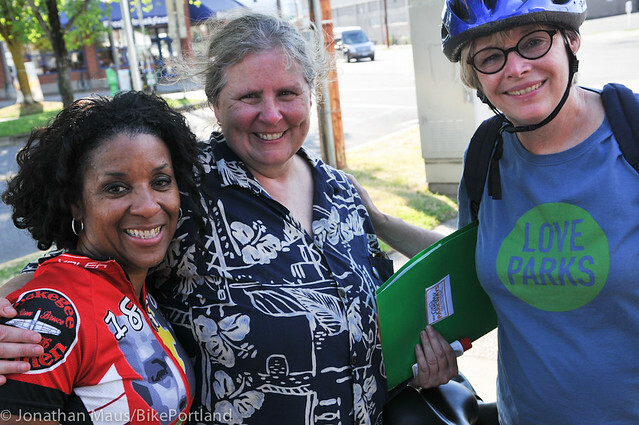 Portland’s 25th Sunday Parkways event was held last month. 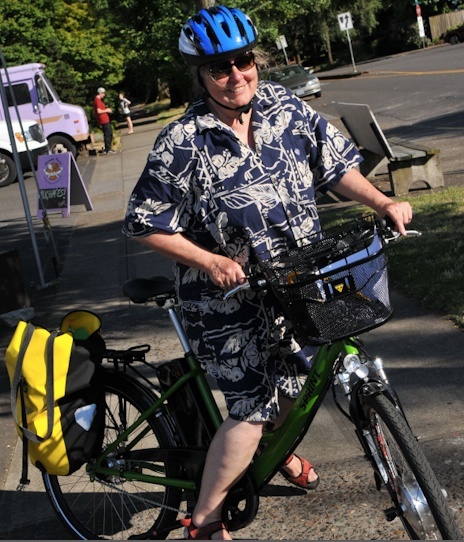 A couple hours later, sitting outside Ruby Jewel ice cream shop on North Mississippi Avenue, SNG’s founding director Cathy Tuttle talked about her philosophy for getting Seattlites to ride bicycles. Whatever Seattle has been doing lately, it’s working. Bike traffic over the Fremont Bridge is up 14 percent this year and (though even Tuttle is skeptical of this finding) the bike counts on two new neighborhood greenways are up more than 600 percent. 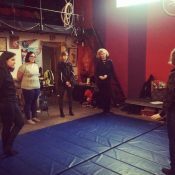 Tuttle’s organization, which has just two paid staff, has been turning heads in Seattle for its extremely effective political organizing. 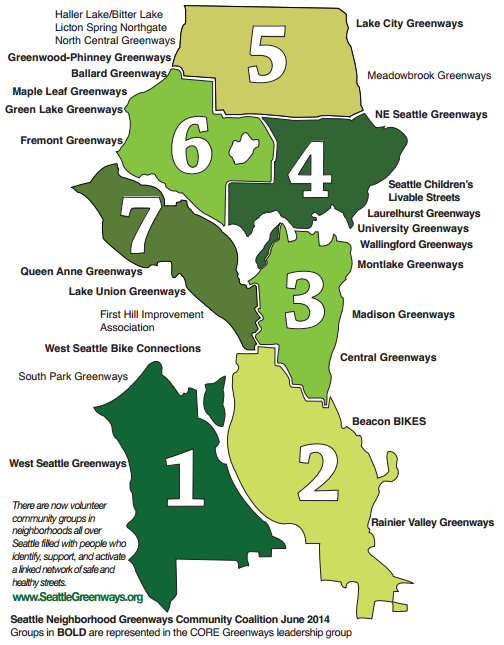 Tuttle has deputized volunteers in 26 Seattle neighborhoods to gather local support for greenways. key to the group’s strategy. In 10 years, their goal is to have a 250-mile network of linked routes, including some multi-use paths and protected bike lanes, throughout the city. 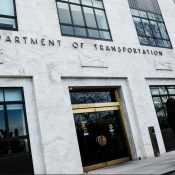 “It’s very strategic political action,” said Tuttle, whose influence at the city is such that she was invited to personally weigh in on the selection of Scott Kubly as Seattle’s new transportation director. 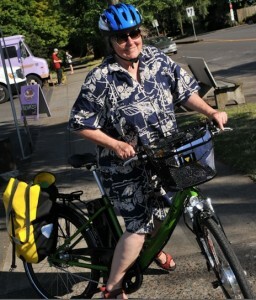 It doesn’t hurt that Tuttle herself, who said she’s almost 60 and rides an e-bike, doesn’t look the way people expect a biking advocate to look. SNG also makes a point not to make biking the core of its public message. The group responds with public events and pressures city hall for action after any walking-related fatality. Its alliance with the city to endorse Seattle’s current parks ballot measure grows out of SNG’s message that neighborhood greenways are a cheap, simple way of turning neighborhood streets into de facto parks. A page from Seattle’s “Neighborhood Greenways Toolkit 2012,” created by local grad students. But though Tuttle and her team are obviously proud of their work and confident of their influence in Seattle government, they’re also huge fans of Portland and a city staff who Tuttle says is full of visionary, socially adept planners, project managers and engineers. Mark Ostrow, Tuttle’s lead organizer in the Queen Anne neighborhood and a Portland native, said he visits the city every chance he gets, and is confused when he gets the sense that biking advocates here are discouraged. Correction 7/31: An earlier version of this post inaccurately credited the creators of the Toolkit pictured above. That’s an unfortunate but very common reaction to people that dare question the current state of affairs in Portland. And it’s also why the U.S. is having so much trouble making more major gains in bicycle ridership. Many bike advocates are happy to be a large, happy, and well-fed fish in a very tiny pond, instead of doing a real gut-check and realizing that we are actually a tiny bottom-feeder in a vast ocean. We navel-gaze and wring our hands here because in Portland, more than any other American city, we have many of the right ingredients to rival the bicycling rates of some of the great European cities — yet we are sitting here on our hands doing nothing. Portland could be the model that could spur a bicycling transportation revolution in this country… We’re so close yet we can’t quite get over this hump we’re on. So, regardless of how good other people think Portland is — and we are good in many many ways (I love this place!) — we will never be great (at least not in my lifetime) unless we end the complacency, get serious, and create real urgency to do the right things right now. Navel gazing and taking action are two different things. In no way was I suggesting that Portland’s bike advocates should sit back and relax. Rather, I was suggesting that any moment spent wringing your hands and gnashing your teeth is time you could be using to take action to move Portland to the next level. 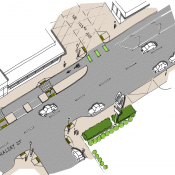 Seattle Neighborhood Greenways is taking action, in part by actively seeking to replicate Portland’s success. Without Portland’s excellent example, our work would be more difficult. But, just as I wonder why there is no such thing as Seattle Sunday Parkways, I also wonder why there is no such thing as Portland Neighborhood Greenways, a neighborhood-based, grassroots coalition advocating for safe streets in Portland, block by block. IMO the wringing of hands and gnashing of teeth are one of the necessary steps in the process toward getting people to act. But point taken. I have been noticing lately how much talking I’m doing versus how many concrete steps I am personally taking to “be the change.” It’s frustrating to try and figure out how I can make the most effective impact and/or whether or not I should just be a pundit/commentator/documenter of what’s going on in hopes that someone else will grab the bull by the horns and do the heavy lifting. 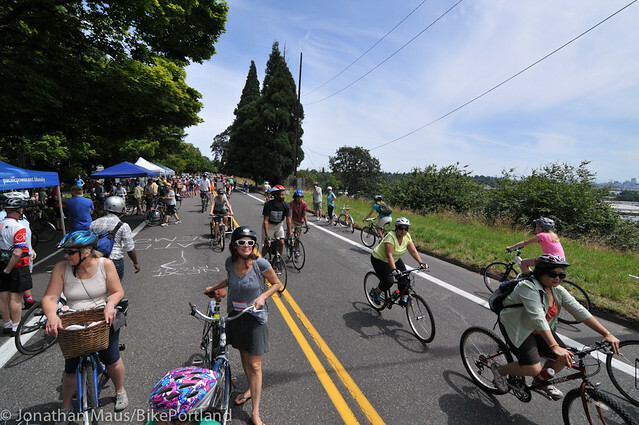 … But, just as I wonder why there is no such thing as Seattle Sunday Parkways, I also wonder why there is no such thing as Portland Neighborhood Greenways, a neighborhood-based, grassroots coalition advocating for safe streets in Portland, block by block. So do I! I was just telling Michael Andersen the other day how much Portland needs a group like yours. I tried for a year to at least organize the inner east side with C.O.P.I.N.G.with Bikes. (Center of Portland Integrating Neighborhood Greenways)……but when it did not take off after nearly a year I gave up and moved my activism to my neighbrohood association. The maps are still out there if someone wants to take up the half-mile greenway grid network concept and organize. I just returned from Seattle yesterday. On my past two visits I’ve come across people just injured on Seattle’s star piece of infrastructure: The Burke Gilman Trail. The first was someone who went down when trapped between bad pavement and railroad tracks and the seconds was two people who collided on bikes navigating a blind corner. For a piece of infrastructure that is so well used I’m always surprised at how dangerous it seems to be for people on bikes. I always feel grateful when I return to Portland. The B-G trail is quite old. Probably one of the original rails to trails projects. I remember it when attending college in the mid 80’s. SNG has visited PDX two or three times to gain insights. 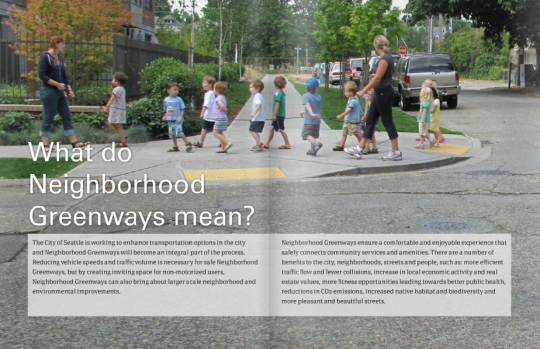 Can we take a moment to flag the weaknesses of neighborhood greenways? I use N Michigan daily, which includes long waits for crossings, occasional speeding cars using it as a cut-through, and bike traffic on it bypasses all the terrific neighborhood businesses on Michigan/Albina. For instance, there’s been a Thursday night farmers market on Mississippi for a couple of months, and I just found about it last week. That can’t be good. Neighborhood greenways might be all we can get at a given moment in time, but we should go into the process of creating them understanding that they’re a compromise when compared to safe and comfortable facilities on the existing through street network. Agreed. They were not intended to be destinations in and of themselves, but alternative pathways that a wider variety of people would feel comfortable using. They are meant to be time competitive with the busier streets they parallel (and PBOT trys to get them close to those busier streets), but not replacements to those streets (as some auto advocates frequently ask). PBOT has thought about adding guide markings when nearing commercial centers, even sponsored markings as a fund raiser, but … I don’t know why this went nowhere. 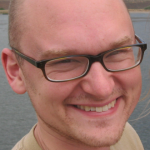 FYI, the greenways toolkit was written by two UW grad students. It was not created by SNG. Thanks, Joe – I edited that caption to clarify. Actually, if you read the credits in the book you posted-this group isn’t mentioned at all. It looks written by two graduate students that happens to cover the same topic. You’re right – I misread the credits. I’ve added a correction to the post. Thanks.